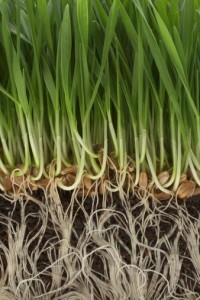 You are here: Home » Blog » Are Thirsty Roots Attacking Your Pipes? Are Thirsty Roots Attacking Your Pipes? Get professional drain cleaning to keep invasive roots from blocking or ruining your pipes. Recently, the State Water Resources Control Board approved emergency conservation measures designed to help get our state through this ongoing drought. Now, using water to wash a car, water a lawn, or hose down a sidewalk may be punished with a $500 fine. With much less water being used outdoors, trees, bushes, and even deep-rooted garden plants will be especially thirsty this summer. Water and sewer pipes are always attractive to roots, but it’s likely that thirsty roots will be even more likely to seek out moisture from pipes this season. Invasive roots can be very damaging to your pipes and your plumbing. They start off sending hair-thin root fibers to explore the moist areas near buried pipes. These fine root fibers can sometimes work their way into tiny cracks along pipe joints or into holes made by pitting or corrosion. If they succeed in accessing the water inside the pipe, these tiny fibers will grow and swell until they block the pipe and/or break the pipe be enlarging the cracks or holes they originally entered through. Either way you will have a serious problem on your hands! Roots are most attracted to sewer pipes due to the combination of moisture and nutrients they offer. Therefore, you need to look for symptoms of a root problem in your drain system. One common indicator is slow drainage that affects not just one fixture or drain, but all drains and fixtures on a given line. If you don’t notice slow drainage, the problem may worsen until you get a much more obvious sign of a root problem, namely completely inoperative plumbing and a backup of dirty water in your home or business. 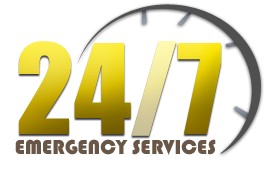 If you suspect you have a root problem in your plumbing, you need to contact a professional plumber such as The Drain Dudes®. 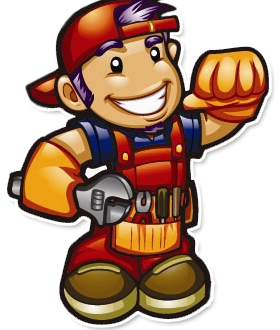 We can come inspect your pipes to determine if you have a clog or a broken pipe. Root clogs can be eliminated with drain cleaning services. First we will use an auger to cut through the snarl of roots, and then we may use a high-pressure hydrojetter to flush all the root bits completely out of the pipe. Broken or cracked pipes can be addressed using our expert pipe repair services. Depending on the extent of the root damage, we may be able to use low-dig or no-dig techniques to install new pipe, or we may need to dig up the damaged section. In either case, pipes that have once been affected by roots need to be treated regularly with a chemical to keep roots from returning. You might consider products like RootX or more natural home remedies like flushing a strong salt solution down the drain periodically.